The hour gave him away as a traveler who had taken advantage of the Dutchman Diner’s twenty-four-seven open door policy, since only a handful of regulars would be around then. It wasn’t that hard to place him as a body in motion – he wasn’t dressed for staying in one place for long. If someone were to raise a question which car was his, Lou would only have to peer out one of the windows to find the one with out-of-state plates. Where he was going or what he would do when he got there was never spoken, but when he saw some friendly faces sit down at the counter a few seats from him, he raised his eyes up from his coffee cup to make a bit of small talk. Things like “rough night?” and questions about “which way to Potter’s Valley” and if anyone had heard of someone named Witherbee . When pressed for a description, Strange Jason said that “he looked like Bowie did forty years ago,” and that the traveler was well aware of it. “The type of person accustomed to taking advantage of opportunities,” added Weird Jon and that around the traveler’s neck hung a half-open locket. Neither was close enough to see the photograph inside and felt it unwise to ask. From what it sounded, the gaunt cheeks of the stranger came from his lucky ticket in his looks but the direction at how the shadows swelled against his cheeks hinted at something more. 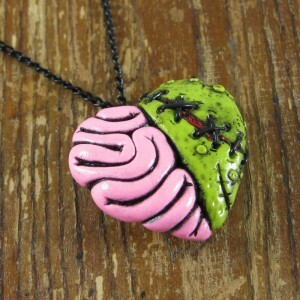 The locket is what brings us to this week’s Tuesday uEtsy. We’re happy to spotlight Rapscallion, a maker of some fine jewelry, clothing and accessories that will catch the eye of what locals you speak to when you recharge your batteries in diners nestled in hidden towns far from home. 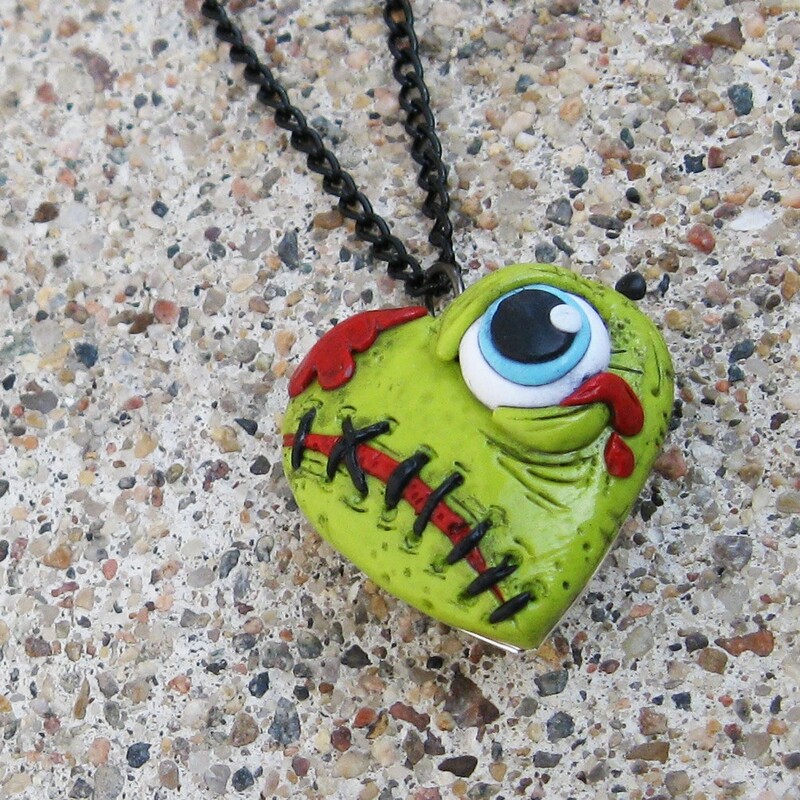 Like the Zombie Heart locket pictured above, this Zombie Eyeball Heart Locket opens up like a traditional piece of jewelry, where you can hide your deepest secrets, whether they be a miniature version of a “Dorian Gray” picture or the identity of your forbidden love. Hidden behind the ever watchful eye of the undead, you can’t argue for a better guardian than that. 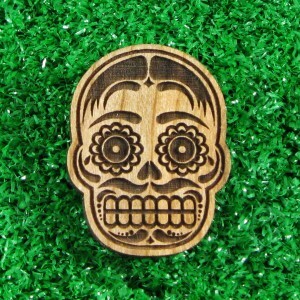 One of the techniques that Rapscallion utilizes is laser engraving, producing pieces like this Sugar Skull Brooch on a piece of wood. High quality and high class. 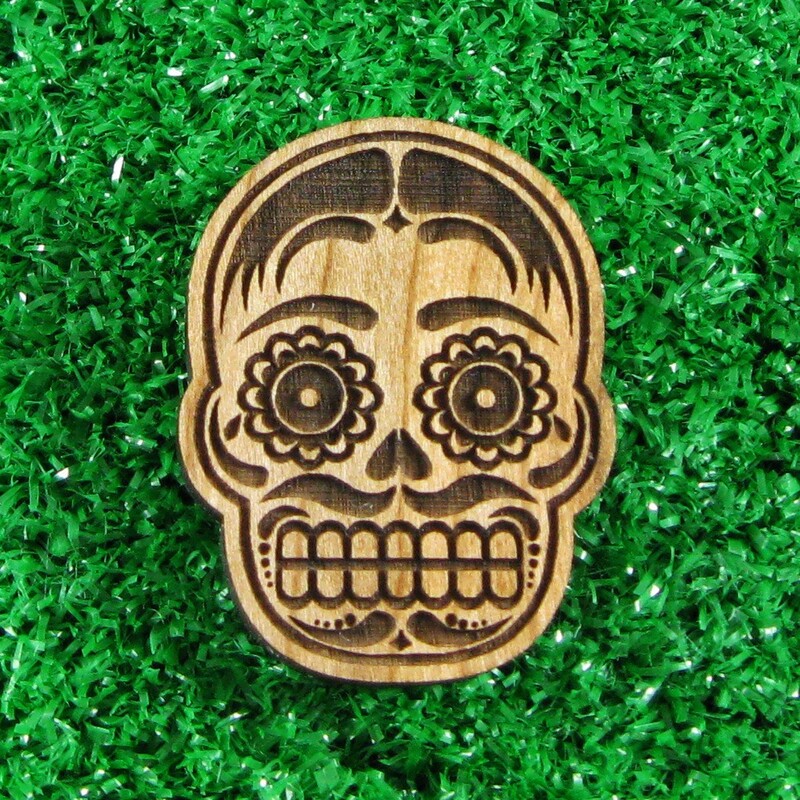 Pin this to your shirt, blouse, jacket or skin to demonstrate an exquisite sense of fashion. The Sugar Skull in particular employs a level of taste that has been out of favor perhaps since Bowie looked similarly like the stranger. Perhaps you are in a rush to establish your level of sophistication? Chances are, you’ve been driving for a lengthy period of time through the night, following the less-than-helpful GPS application on your phone to a place that you only heard about through a garbled voicemail. Chances are that you’re not in the best condition to convince someone that you know the difference between forks and their use. 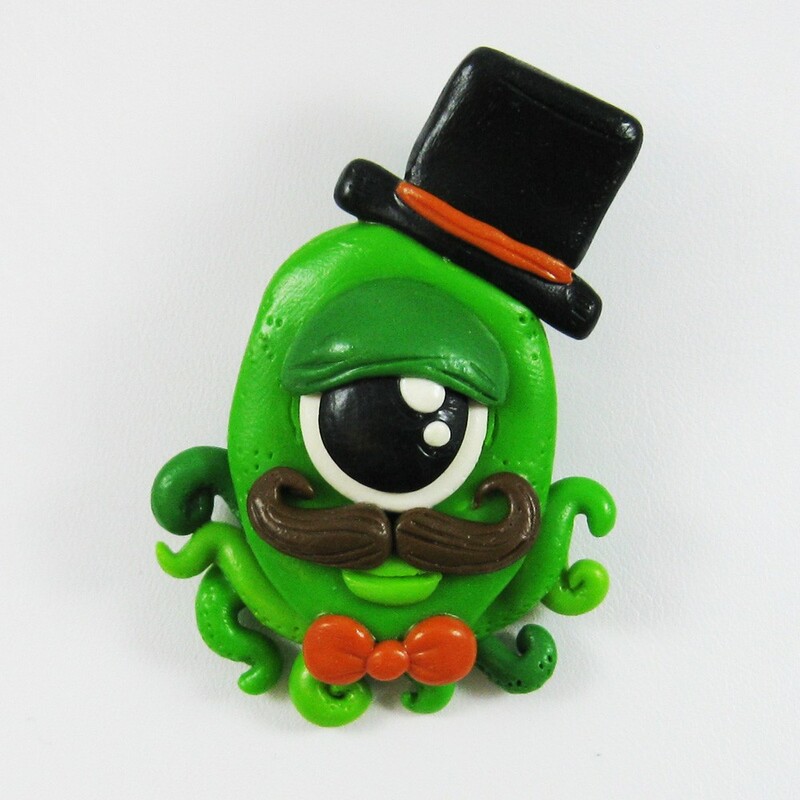 The dapper Mr. Barnacle will instantly vouch for your upscale grooming, and with his nature, he works both on land and underwater. In addition to necklaces, rings and brooches, Rapscallion makes a line of t-shirts. 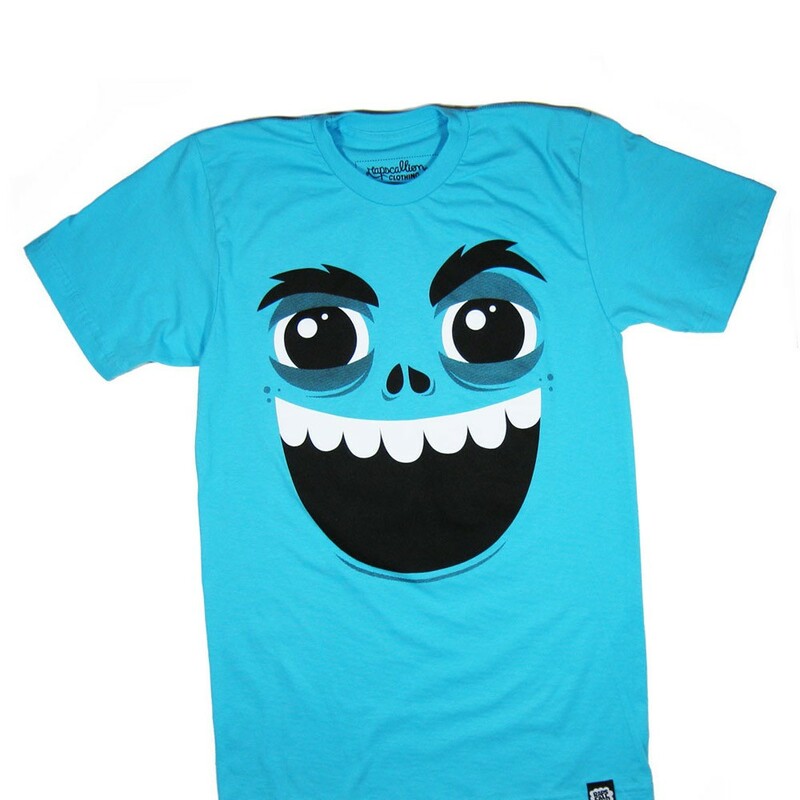 You can convert your torso into a monster with the simple application of one of these fine shirts. A simple tug over your head and suddenly, you are ready to devour small children or teach them about sharing. 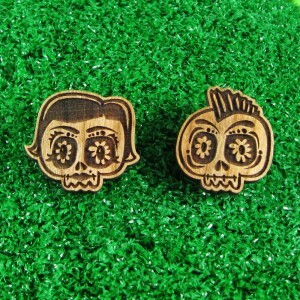 You can choose between the girl and boy when you purchase one of these Punk Sugar Skull Brooches. We can’t blame you if you wear both, showing either a strange androgyny in your accessories or a fine taste. Buy one. Buy both. 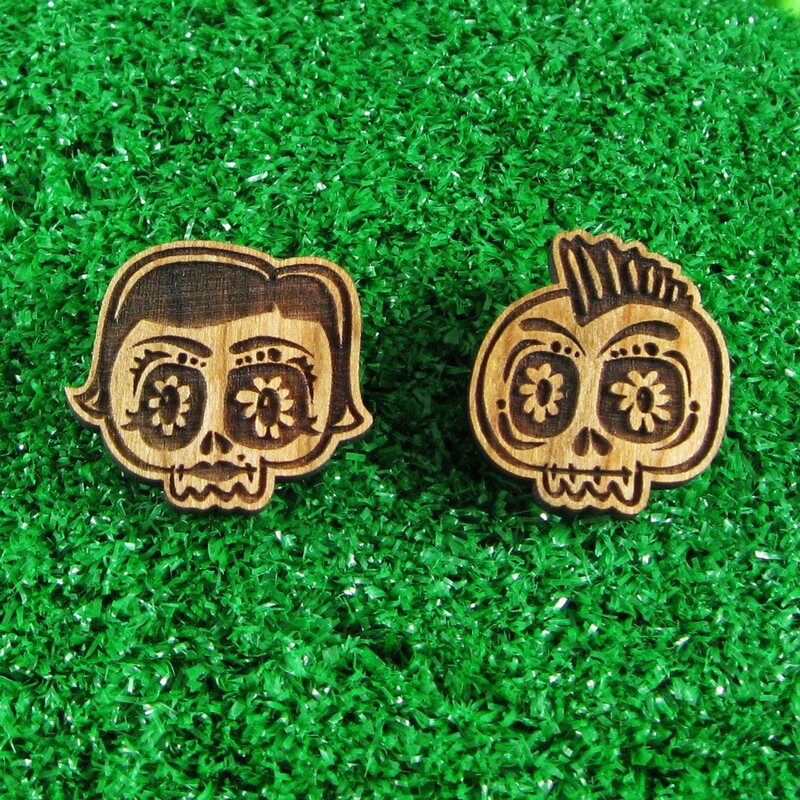 Wear them on your lapel and people will remember you as you pay your bill, get into your car and drive off to find out what awaits you in Potter’s Valley or wherever fate might call you to go. You can go to Rapscallion’s Etsy Store, their Official Page, and their page on Facebook. You can even find them on Twitter. If you find your way back from wherever your fate takes you, be sure to find yourself here at GdL16 next week for another Tuesday uEtsy.